An ideal & versatile over wrapping machine used for over wrapping small & Medium size Boxes. By the help of Servo Motor, Touch Panel & PLC system, change-over between size to another is done very easy in a very short period. 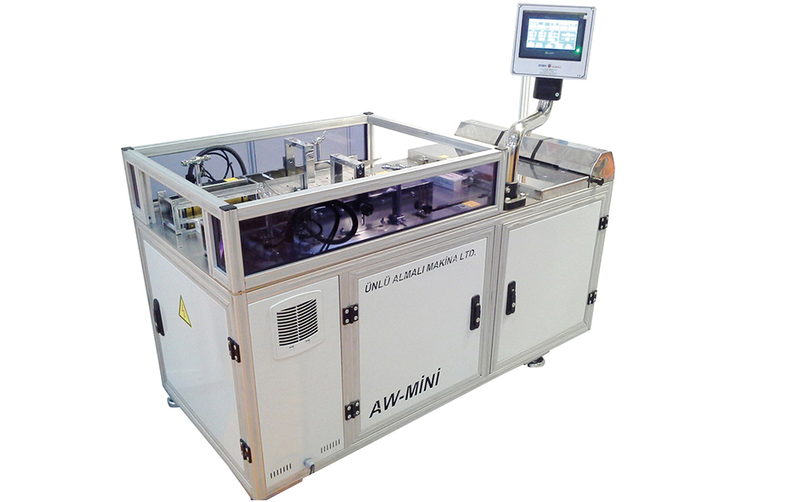 AW-MINI used for over-wrapping boxes like: Perfume Boxes, Cosmetic Boxes, Teat Boxes, Tobacco Boxes, Medicine Boxes, Gum Boxes, Single Rectangular Soap Bars and similar products.